well recognized in analog world in the area. 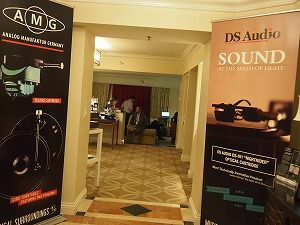 Being our cartridge distributor inUSA/Canada, Musical Surroundings is also carrying Clear Audio, and Benz-Micro distributionsin USA. 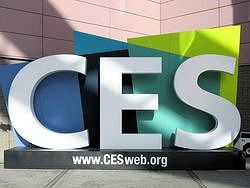 Impression of CES: I am overwhelmed by the fact that a large number of exhibitors had their demonstrations done by analog music. 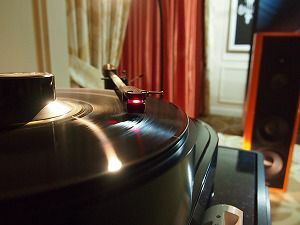 Analog music has a strong existence in the USA market. 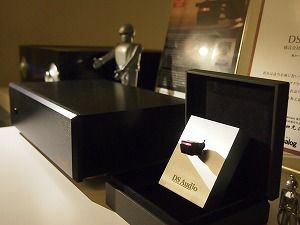 Regarding Optical cartridges,Japanese audio fans are well informed of optical cartridge introduced manyyears ago. 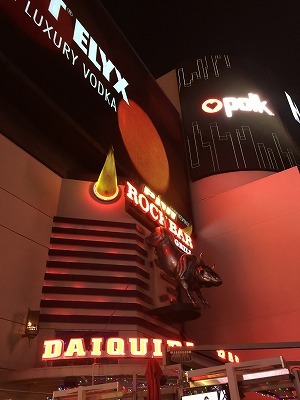 However, Optical cartridge was unknown to the most of the people at the show in Las Vegas. I heard them saying, “What is this? ”, many times on the floor. 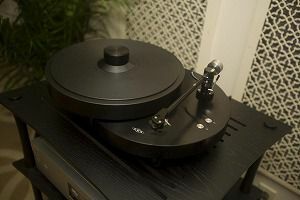 we were often asked to make a sound comparison between MC cartridge and Optical cartridge. 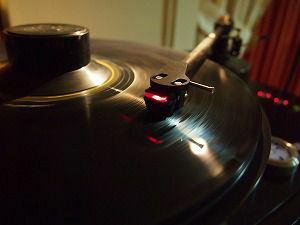 “Open-reel Sound!” was one of common impressions of the listeners and the clear sound of optical cartridge left them with pleasant surprise. 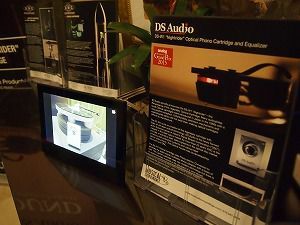 We are also happy to say that DS-W1 was used by SONY for their product demonstration at SONY booth during the show. 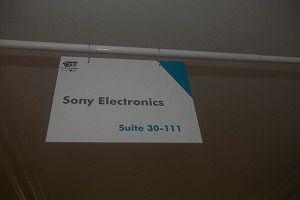 Unlike many other people, this was our first attendance in CES. It was such an eye-opening experience for us. 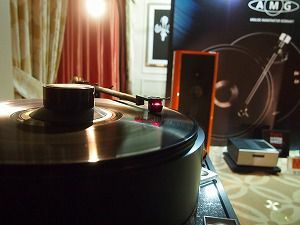 We are determined to come back next year with more sound quality and new products. 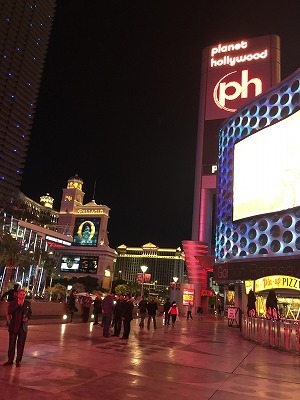 Sony used DS-W1 nightrider cartridge for their demonstration in CES2015.